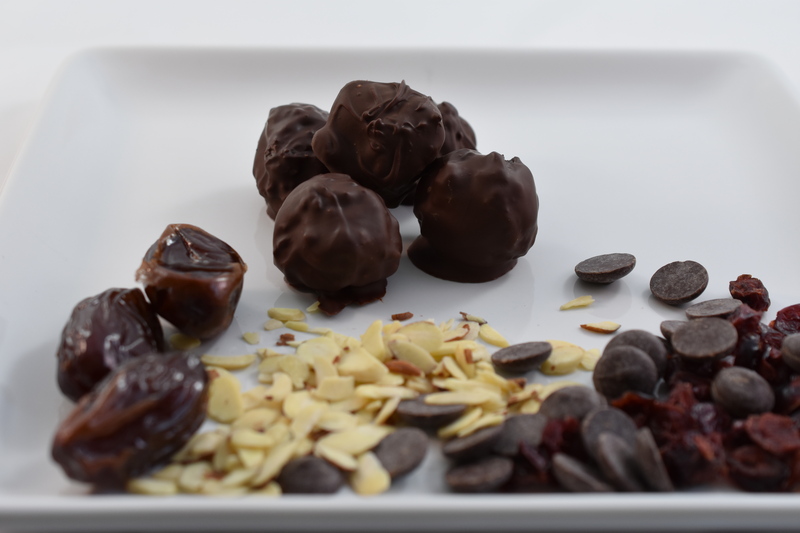 My original Dark Chocolate Date Truffle got me thinking of making another version. Something that had a little tart and sweet. This new version captured what I had in mind. I hope you enjoy thee as much as my family did. Add dates, cranberries, almond butter and cinnamon to food processor. Pulse until well combined. Use a tablespoon to scoop out mixture and roll into balls. Place on a sheet pan lined with either a silicone mat or wax paper. In a small bowl melt chocolate in the microwave for 30 seconds; stir. Repeat. Remove bowl from microwave; stir well. Place 2 date-cranberry balls into the melted chocolate and turn to coat. Lift out of bowl letting the excess chocolate drip back into bowl. Place truffle back onto silicone mat/wax paper. Repeat with remaining truffles. Freeze for 10 minutes. Remove from freezer and transfer to a container with lid. Store in the refrigerator. I loved the tart taste in these truffles.